Cricket, cricket... it got a little quiet around here!! Sorry about that impromptu blogging hiatus. I had planned to just get right back into it upon our arrival back in Atlanta and somehow over a week has passed. 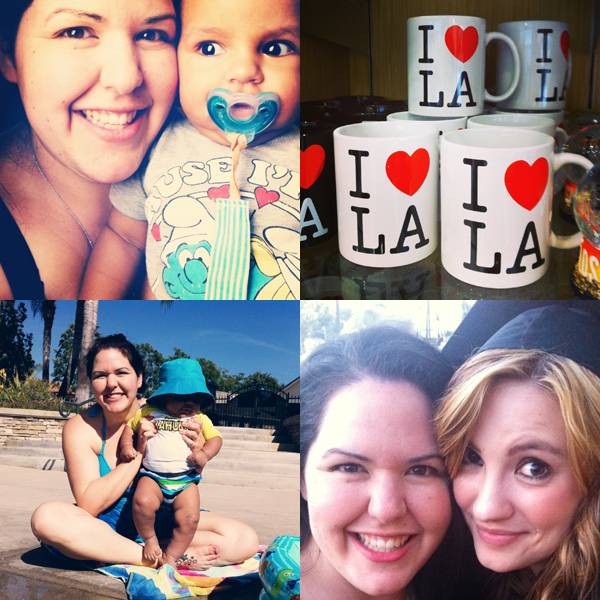 Our Cali vacation was wonderful (I can't wait to tell you all about it and share all the PHOTOS!) but much too long to be away from home and Benjamin! It took the baby and I nearly a week to get acclimated to being back -- several days before we were back on EST time. Since we've been back I photographed a friend's courthouse wedding and had a fun maternity session with another friend/old co-worker. This weekend we spent family time together with trips to the park and out to eat, Ben's softball game, and watching season 1 of Mad Men. It was great and just what we needed! Bare with me in the coming weeks as it will probably be post overload. Besides my vacation recap, I have several sessions to post, and Benjamin's [late] 6 month letter. We are already in full Summer mode and I am super excited about living with purpose and experiencing new things together! 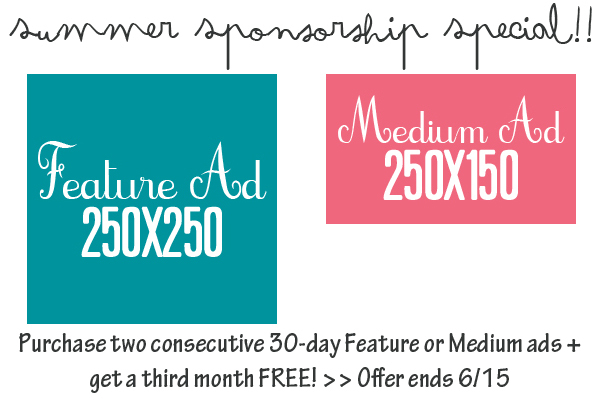 To kick off summer a little early on the blog I'm offering a sponsorship special for a limited time! Purchase two 30-day Feature or Medium ads and get a third month FREE. Sponsorship information and purchase links can be found here. In May this blog had 6,245 total pageviews and 914 unique visitors - up 5% from April. Combined social media followers totaled 867 - up 20%. Sponsorships are 30 days long and start at just $5. If you are interested in having a product reviewed or donating to a giveaway please email me! I look forward to working with you! !